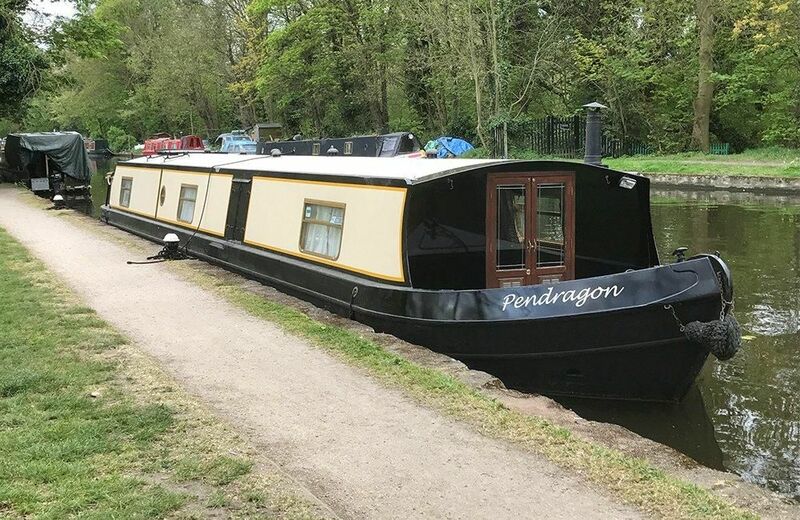 The Pendragon class canal boats. 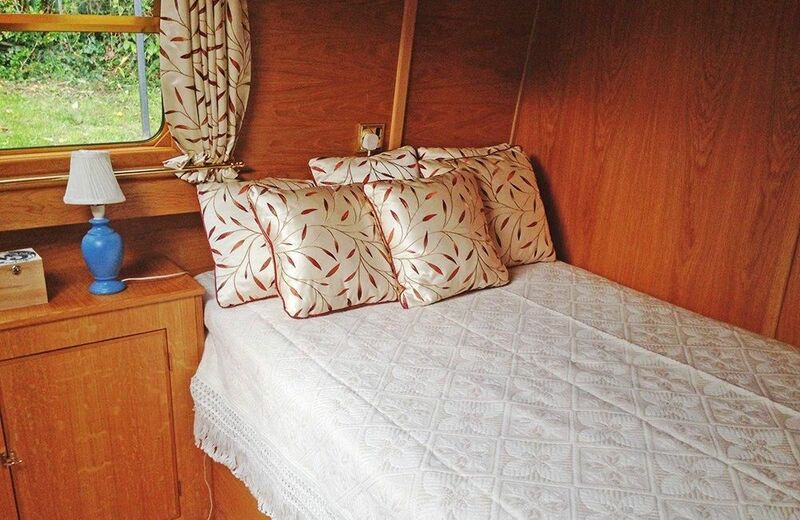 There is central heating and a wood burning stove to keep you warm and cosy in the cooler months. A sack of logs and kindling are supplied during the winter months, with extra sacks available to order with your booking. Comfortable sofas. Subtle wall lighting. A wide screen projector and DVD player are available for watching movies or playing your favourite computer games. Computer games are not provided, however, there's a small supply of DVD's for all ages. There is also a collection of both vintage and contemporary board-games to keep you occupied in the evenings. There is also a CD/tape/radio music system and a Bluetooth 'Boom-bar' speaker to you to access and play your digital music collection. 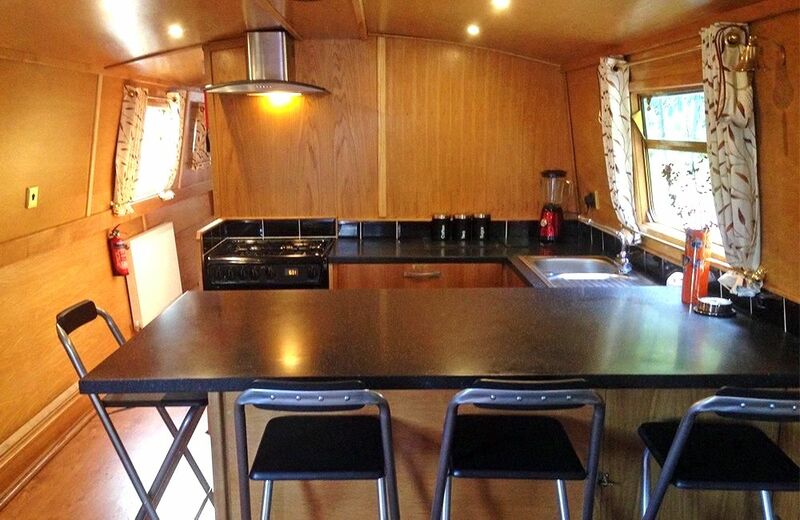 The kitchen is fully fitted with gas oven and grill, fridge, extractor fan, and a range of pots, pans, oven-to-table ware, crockery and cutlery. The kitchen also has an electric blender for making smoothies and milkshakes, and a large and small coffee maker also a cafetiere. A supply of cleaning materials, tea-towels and hand-soap is also provided, as are tea, coffee and sugar. You can drink the water from the tank, however, you may prefer to bring your own drinking water. The bathroom is fully fitted with shower, toilet and wash-basin. There is also a heated towel rail, shaving mirror and a large wall mirror. The toilet flushes into a waste tank which will need emptying depending on usage and there are several points along the canal where 'pump-out' is available, usually at a cost of £15-20. Depending on usage, four people should get 3-4 days use out of both the water and toilet before they require emptying/filling. A welcome pack is provided, consisting of a supply of cleaning materials, tea-towels and hand-soap. tea, coffee and sugar. 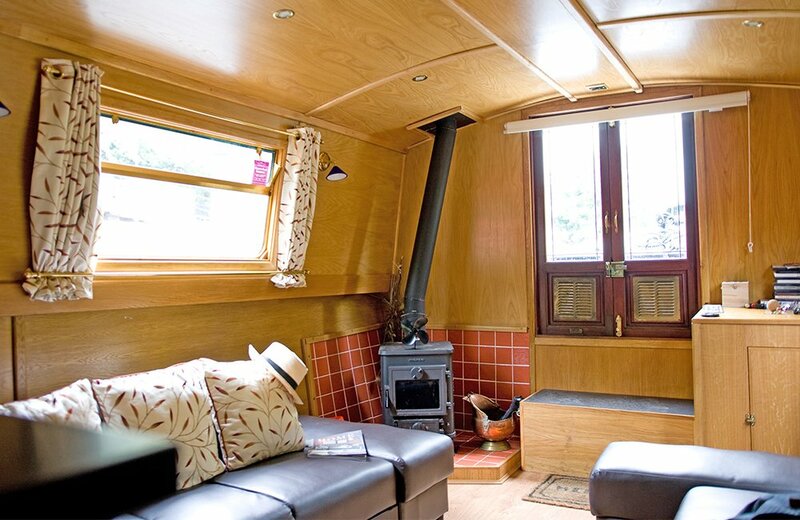 The front deck provides ample space to sit and enjoy the view as you cruise the canals. There are six folding chairs located under the breakfast bar, which will provide you with comfortable seating for the cruise. There's also a folding table should you wish to have a tow-path picnic. Tuition, and buoyancy aids, are supplied free of charge. Shopping deliveries can be made to the boat-yard for 2.00pm on the Saturday of your arrival.